One of everything. Photo courtesy Princess Cruises. Back when we still paid for cable, there was a show we used to catch on TLC called Take Home Chef, hosted by a relative unknown. 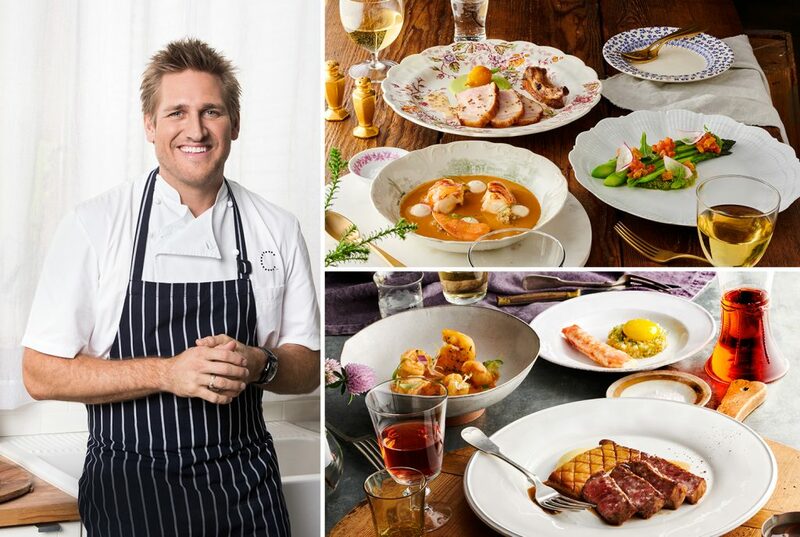 Fast forward 12 years, and classically trained Curtis Stone is a humble family man whose newest dining room is available to guests via Princess Cruises. For a cover charge of $29, diners can customize their six-course, fine dining experience by selecting from multiple options. Logistically speaking, to coordinate a restaurant concept on three moving vessels is no easy task. How can you make sure the quality is right, or have the best ingredients available? Chef Stone relies on his team of seasoned professionals to make SHARE’s menu possible. They come up with ideas, develop them, then test things out on board before deciding if they are a good fit for the menu. Some pig. Photo courtesy Princess Cruises. During a recent visit on board the Emerald Princess, we tested out their newest seasonal dishes before guests and crew departed on their next adventure. These included a bright Kanpachi Crudo, a saltwater amberjack tuna, thinly sliced and quick-cured in lime, featuring chiles, avocado and almonds. 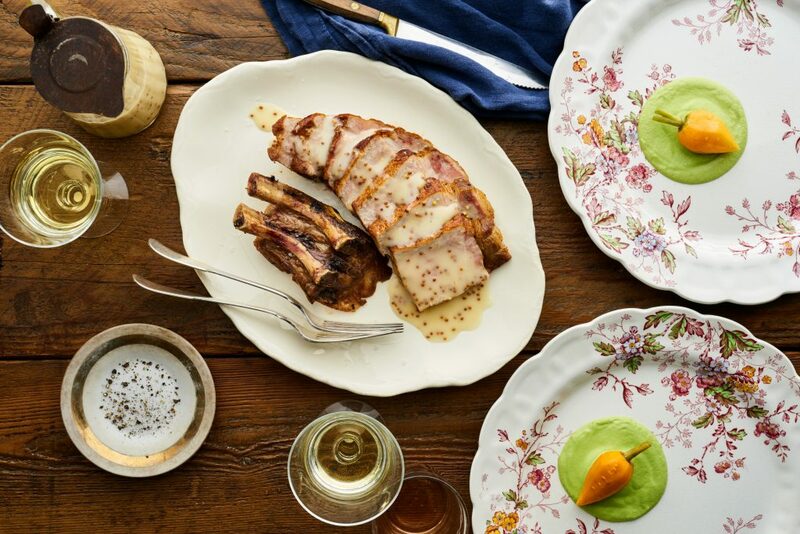 We also sampled a Brown Butter Duroc Pork Chop for Two; the hard roasted, double-bone pork rack was served family-style with confit carrots, broccoli puree, and whole grain mustard jus poured over tableside. In addition to the standard, multi-course menu, SHARE has a separate vegetarian menu. We spotted Braised Lentils, and requested some if there were any left over. Cooked in an umami-packed mushroom broth, we savored the blend of onions, carrots and crispy leeks. 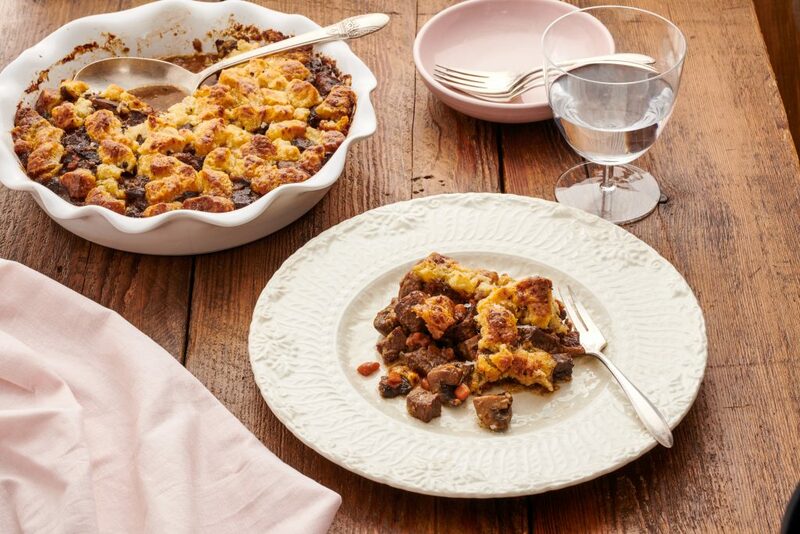 We like to think of it as steak pie. Photo courtesy Princess Cruises. The Princess Cruises philosophy is to not only go and travel, but create memories to take home and “Come back new.” The next time you get bit by wanderlust, look into a Princess ship with SHARE on board for a unique experience. Curtis Stone SHARE is available on the Sun Princess, Ruby Princess and Emerald Princess. www.princess.com/curtisstone.